Every year, Eastern Oregon offers a hunt for sage grouse on the dry side of the Cascades. It is a controlled hunt and a bird hunter must apply for the privilege. In the 1800s, up to 1.1 million sage grouse could be found in parts of what are now 16 western states and three provinces. Habitat disruption and destruction probably accounted for most of the decline. In 1998, the rangewide estimate was that the springtime sage grouse population numbered 157,000. A mottled-brown bird, with black and white camouflage, the mature male sage grouse can weigh up to seven pounds and stretch the tape to 30 inches from his beak to the tip of his tail. To find sage grouse, locate the water and large three-toed tracks in the mud around the edges. The birds return to water at evening and can be hunted in the sage nearby. Most hunters use No. 4 lead shot. Sage grouse need habitat that is made up of 70% sagebrush and 30% grasslands. That type of ground covers roughly 25% of the state, extending east and south from the city of Bend. For nesting, sage grouse seem to prefer taller cover, while low sage flats are better for leks, winter habitat and early brood rearing. Since 1982, hunters have turned in wings at the end of each season. Wings are evaluated at what biologists call a 'wing bee,' where the information is ‘read' and cataloged. Overall population health, ratios of male to females, and juvenile birds to older birds are determined. Successful nesting can be read from the wings of females. This is added to the information gathered at the leks, and helps guide the department's management of the species. Seasons are set in August each year. Sage grouse season takes place in mid-September and lasts between 5 and 8 days. For season dates, visit the Oregon Department of Fish and Wildlife web site. A 3-day Nonresident Hunting License, that permits hunting for small game, migratory waterfowl and upland birds costs $21.50. The Game Bird Validation costs $31.50. The Department of Fish and Wildlife allows a person to apply for and purchase tags by mail or fax. A sage grouse application costs $2.50. Successful applicants pay $1.50 for a tag. Request a copy of the Oregon Game Bird Regulations at 1-800-720-6339. The Whitehorse, Beatys Butte, Warner, Beulah and Malheur River units are the most popular hunts. 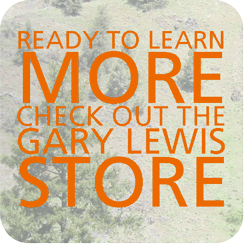 The season bag limit is 2 sage grouse. Doves may also be hunted in September. Licenses are available at over 600 agents, including most sporting goods stores. Call 503-947-6100 for specific license agent locations. Most sage grouse hunting is found along rocky, rutted roads. Bring a four-wheel drive vehicle for best access. Desert hunters may see pronghorn antelope, wild horses, coyotes and rabbits. Much of eastern Oregon is owned by State and Federal agencies. Use a Bureau of Land Management map to help you determine the ownership of the land before you hunt. For the largest selection of maps east of the Cascades, including BLM maps, call Bend Mapping at 541-389-7440. Oregon's best sage grouse hunting areas can be found in southeast Oregon, a two- to three-hours drive from the international airport in Boise, Idaho. Most hunters camp in unimproved camping areas and hunt nearby. Juntura is a two-hour drive from Boise. Here, you'll find RV parking, a motel and a restaurant. If you want luxury and fine dining, you won't find it in Juntura, but you will find some of Oregon's best sage grouse hunting in the nearby Malheur River and Beulah units. In southeast Oregon, Steens Mountain Resort in Frenchglen is another good bet. For reservations, call 800-542-3765. If you'll be tent camping or pulling an RV, the Mann Lake area is a great place to base camp. If you'd like a soak in a hot tub after a day chasing sage grouse, try Crystal Crane Hot Springs, located 25 miles southeast of Burns on Highway 78. Cabins, RV sites and tent camping are available.